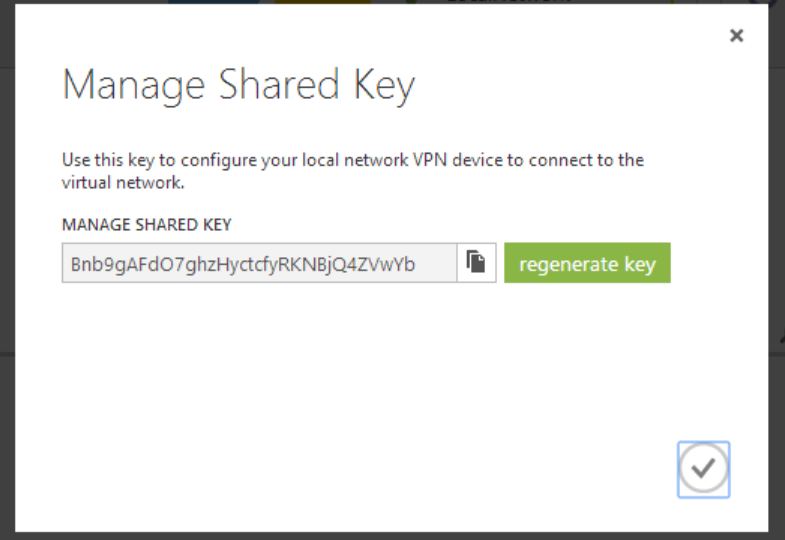 Clearly its about as Vanilla as possible. 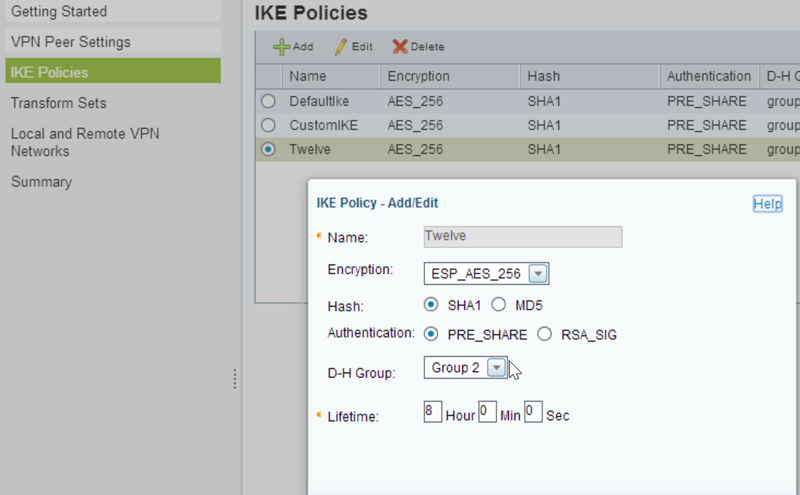 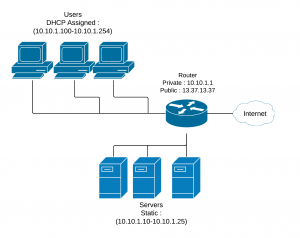 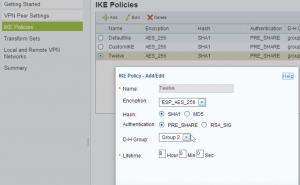 The DHCP Server assigns IPs for all users in the 10.10.1.100-254 range. 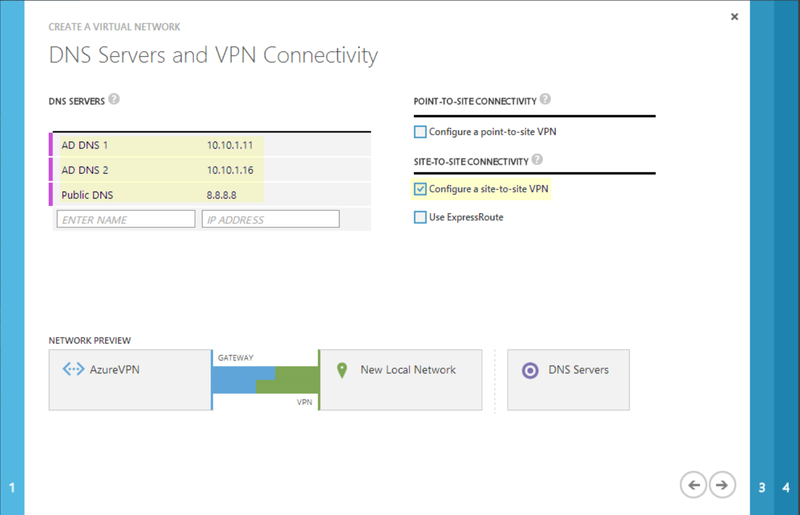 Servers have static IPs in the 10.10.1.10-25 range (with Active Directory Servers at 10.10.1.11 and 10.10.1.16). 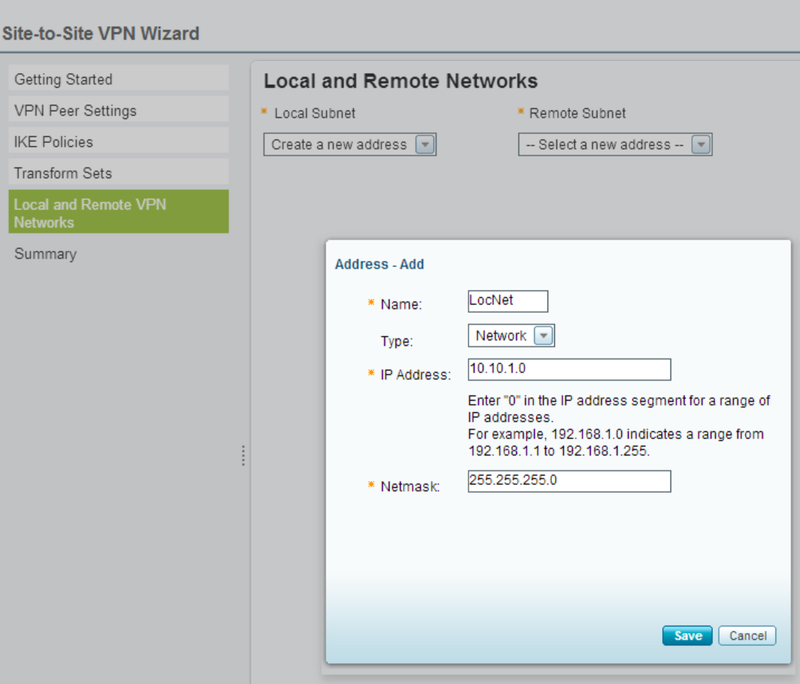 Our local router is currently an ISA550 but you could do this with any router that supports site-to-site VPN. 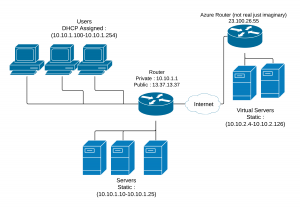 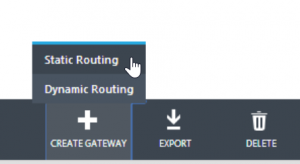 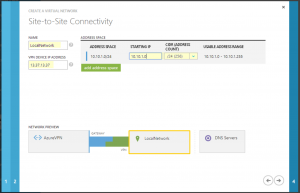 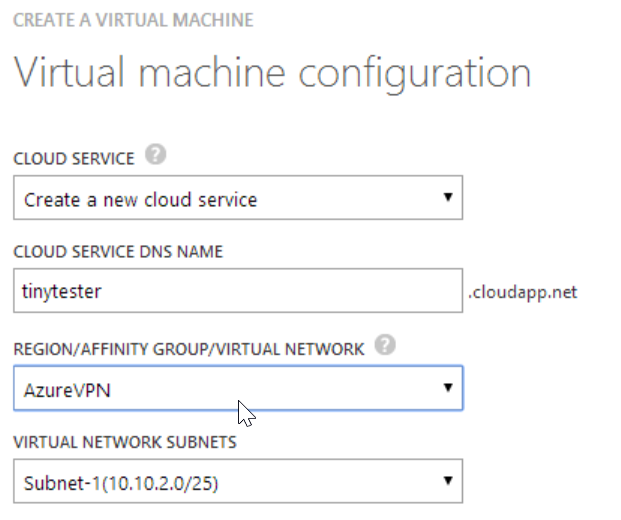 We have two AD Servers on our LAN so I add them so AzureVMs can join the domain. 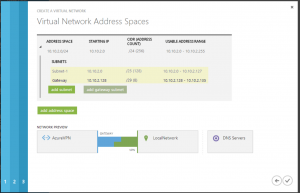 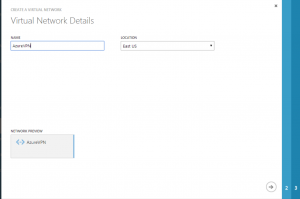 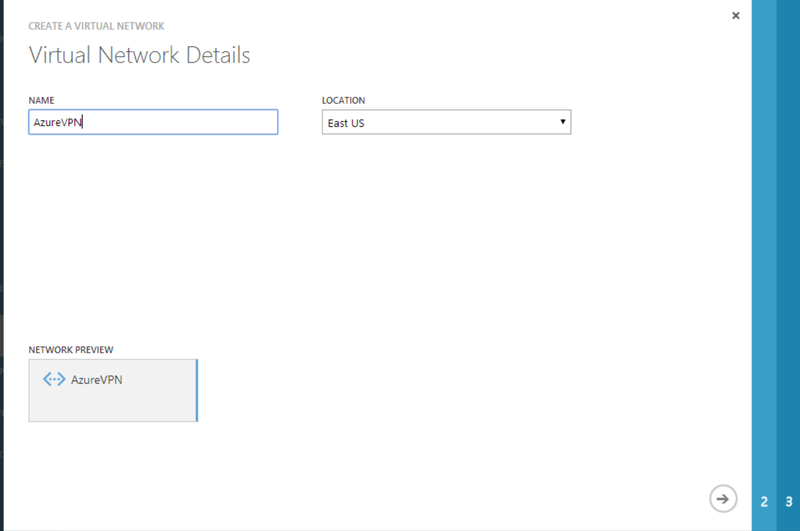 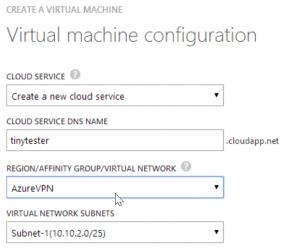 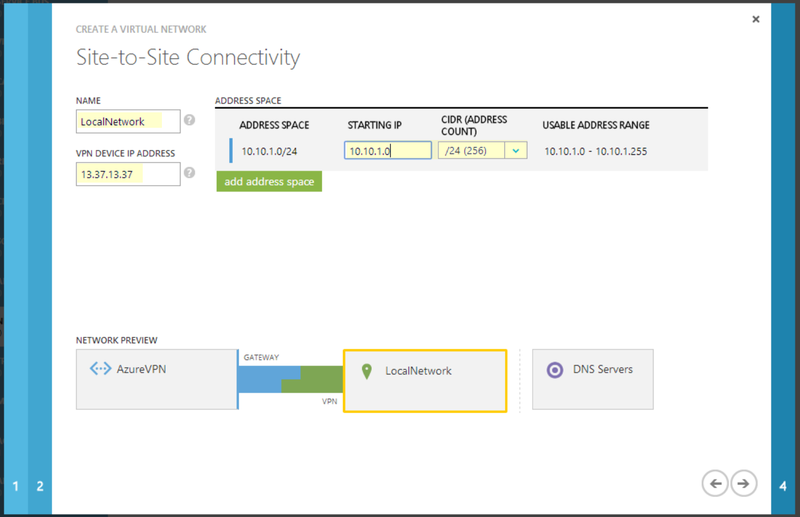 I also Add A Public DNS Server so that AzureVMs can reach the internet if the VPN is down. This is where you describe your current network. 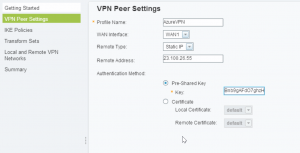 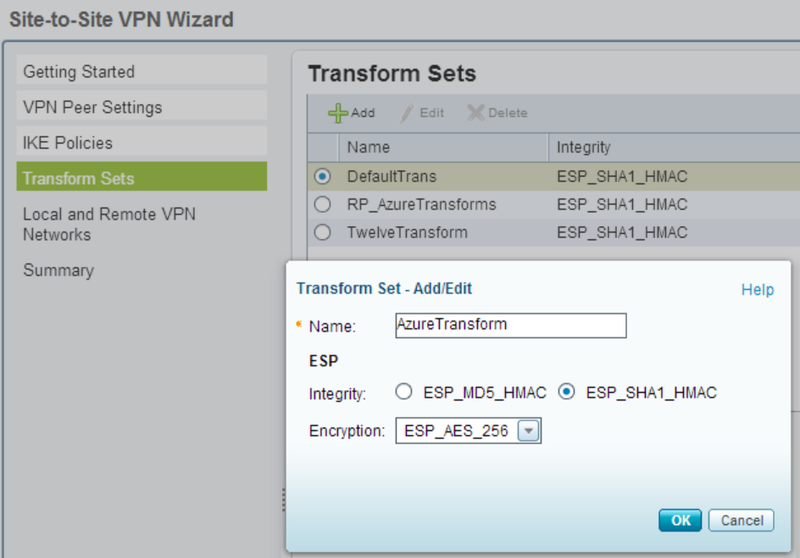 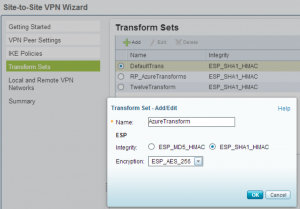 I have a configure site-to-site VPN wizard. 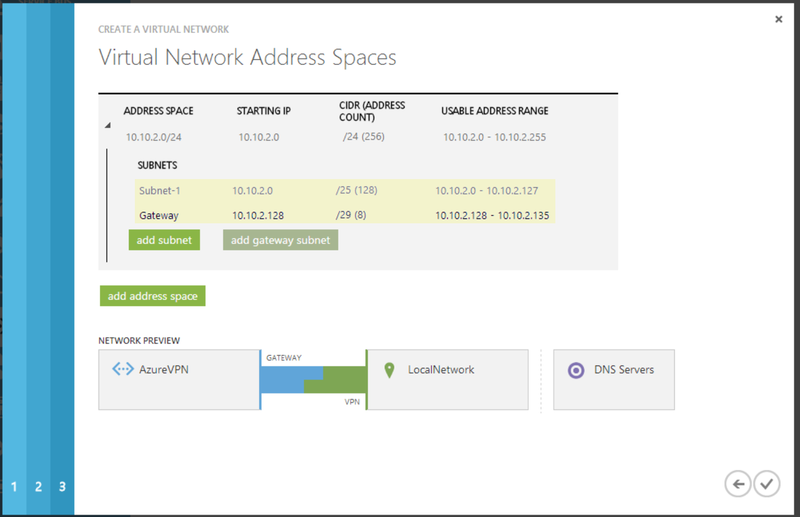 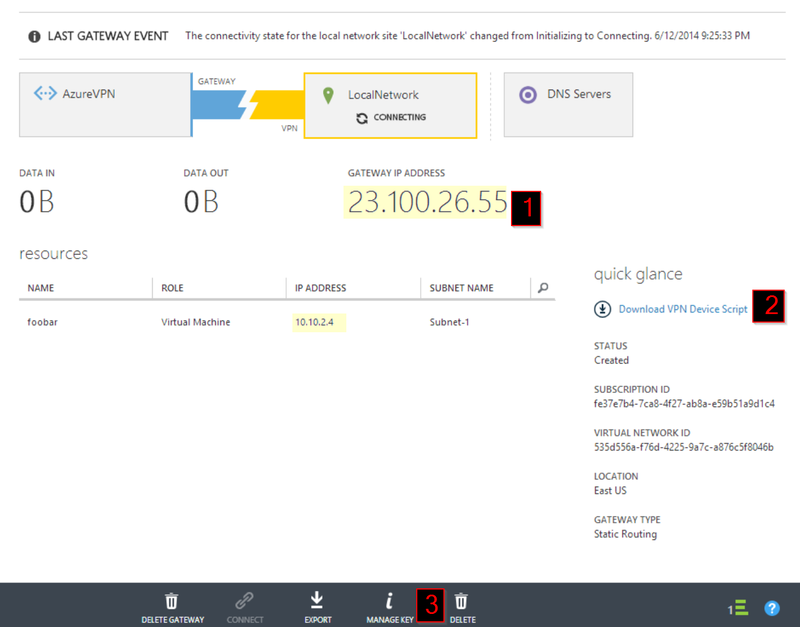 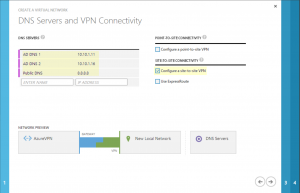 Go to the network dashboard and see the IP for the AzureVM (10.10.2.4). Fire Up Putty and SSH to 10.10.2.4 login and magic you are connected to the cloud.